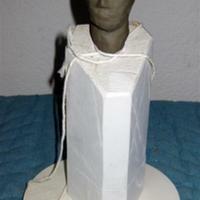 "Portrait of a German Philosopher"
Small clay model on a wood pedestal with plaster base. The base has an embossment on the bottom that reads "Bakers Square". 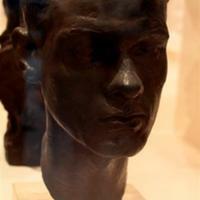 Small clay portrait of Floyd Star mounted on a white plaster and wood base. 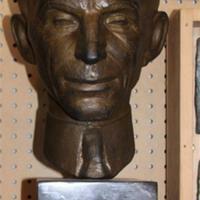 Small plaster bust of Henry Ford with a green patina. This piece was created by Scott Slocum. Scott said he made this and gave it to Marshall and that Marshall liked it. 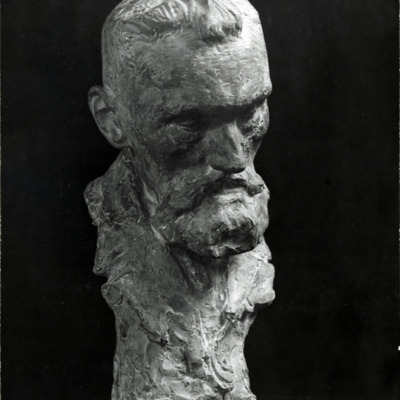 Plaster portrait bust of Victor Anderson on wood base. Portrait of Joan Raseman, a young girl with braids. Painted gray. 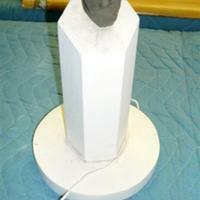 Bust is on a wood base. 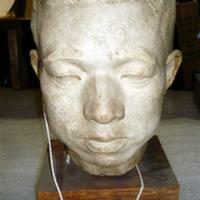 Plaster portrait bust on wood base of an Asian male. 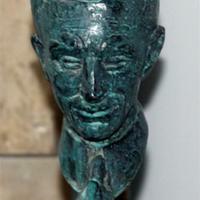 Bronze head on tan marble base of Lloyd Westbrook. 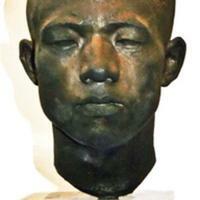 The bronze is almost black in color. Lloyd Westbrook was Marshall's roommate while he was in Germany. 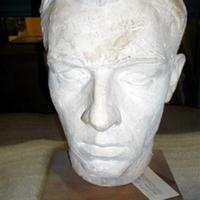 Full-scale brown patina bronze head and neck of Henry Ford. 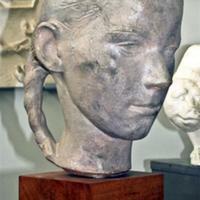 Mounted on a black marble base.